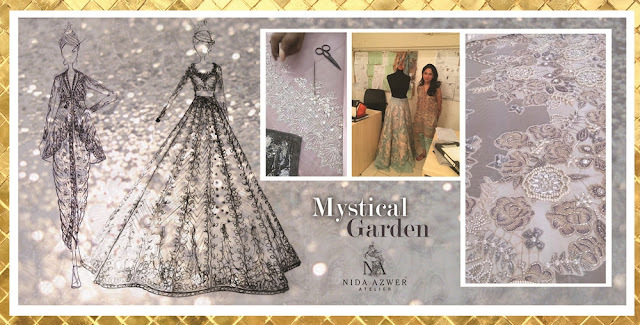 Among Pakistan’s most eminent bridal couturiers, the Nida Azwer Atelier is set to showcase their bridal collection, “Mystical Garden” at Fashion Pakistan Week [#FPW15], Winter / Festive 2015 on Sunday, 29th November 2015. The Nida Azwer bridal collection for FPW is steeped in a world of enchantment and dreams. Titled “Mystical Garden”, the collection draws on enchanted elements one may find in such a garden, from grasshoppers, deer, rabbits, dragonflies, birds and bees, all imagined within a more whimsical interpretation. This collection is based in a palette of soft neutrals from lavender to orchid pink, powder blue, gold and silver with accents of ash gray and magenta with metallic hints in luxe fabrics such as organzas, nets, silks, chiffons and Nida Azwer’s signature french lace. In terms of silhouette, the collection presents a range of traditional and more experimental cuts, from lenghas, crop tops, peshwases, angarkhas, ghararas, jackets, dhoti shalwars and saris. Mystical Garden has been embellished with pearl, bead and crystal work along with the modern interpretation of old craft using resham, kaamdani and zardozi. The Nida Azwer Atelier has also worked across 3D embroideries, creating added layers and dimension. “At the Atelier, from our debut show in 2009 till now, we have worked consistently to develop and innovate our bridal work – from the embroideries, patterns, fabrics to silhouettes. My personal vision has always been to revive and reinterpret the more traditional craft elements and Mystical Garden is reflective of this.” said Nida Azwer on her collection. Fashion Jewellery from Born Pretty Store...!!! Hope your week is off to a great start. 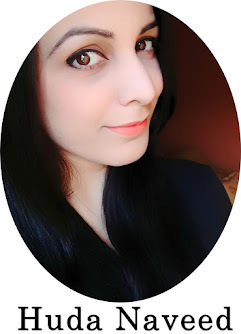 Few months ago I got some beautiful jewellery pieces from Born Pretty Store. I love their collection of Jewellery & Accessories. 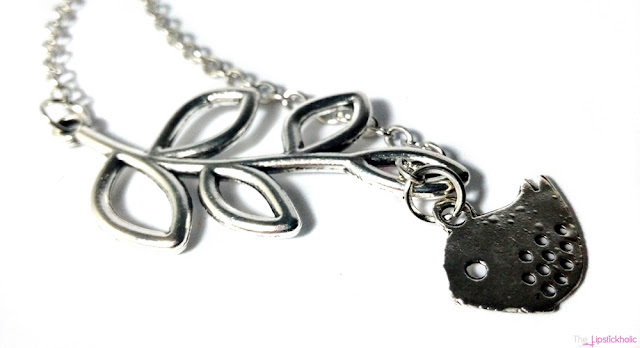 They have an amazing variety of accessories including earrings, necklaces and pendants, bracelets, hair accessories, body jewellery, glasses and much much more. 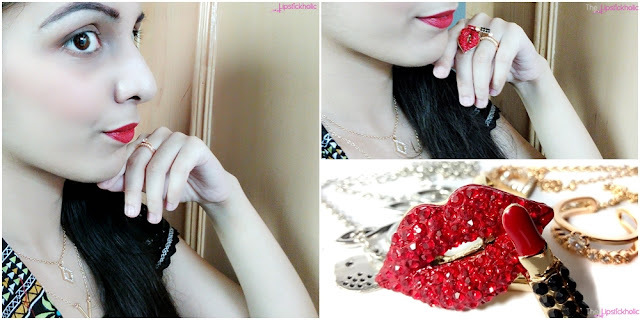 So let's take a closer look at the jewellery items I got from Born Pretty Store. So this time, I got these two really gorgeous rings from Born Pretty Store. If you are following me on Instagram, you would have seen me flaunting this delicate double deck golden ring on Eid too. The other one is a beautiful lips and lipstick shaped ring. This is my favorite ring ever. Its a double fingered ring. I was so looking for such a ring and glad found it at BPS. Its just what a lipstickholic needs and I see myself wearing this ring quite often. The quality of both the rings is really good and I love these. Other than the rings, I got these really beautiful necklaces, I don't wear necklaces so often but I love these two as these are very delicate and wearable. The double layered golden necklace was featured in my Eid-ul-Adha look. Both the necklaces are good quality and the color of these has neither fainted nor changed in all these months. Overall, I love both the necklaces and rings that I got from Born Pretty Store, Fashion & Accessories section. The quality of the jewellery is really good for the price. I am definitely hoping to grab some more rings and bracelets from Born Pretty Store soon. They offer different modes of payment. 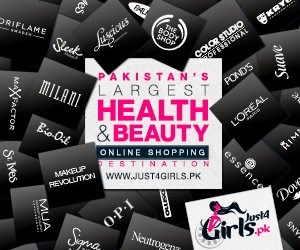 I surely recommend you girls to visit the website. I am sure you will love the variety of products they offer at such reasonable prices. Price & Availability: These jewellery items are available online at Born Pretty Store under their Jewelry & Accessories section. Prices are mentioned in the post. 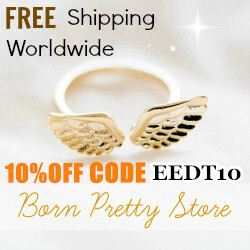 Use discount code EEDT10 to get 10% off your purchase at Born Pretty Store.